Is our time - ? Ist unsere Zeit - ? Kendel Hippolyte (b. 1952 in Castries, the capital of St. Lucia) studied at the University of the West Indies in Jamaica. He worked as a teacher at St. Mary’s College in Vigie, Castries and at Sir Arthur Lewis College in Mourne. He is an active dramaturge and director with the Lighthouse Theatre Company, which he co-founded, and for which he has written eight plays. His best-known play, Drum Maker, uses idiomatic Caribbean language and explores the political context of the indigenous culture. 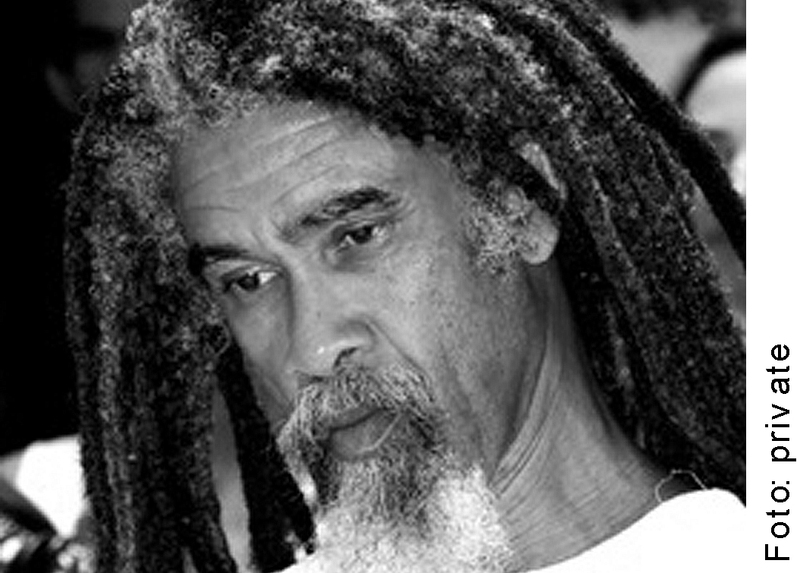 In his poetry he works in traditional forms such as the sonnet or the villanelle as well as free verse and in forms influenced by rap and reggae. He has published five volumes of verse and several collections marked by a free, modernist style. His current focus is on using his skills as a writer and dramatist to raise public awareness and contribute to active solutions to critical social and political topics such as climate change. 2013 OCM Bocas Prize for Caribbean Literature for Fault Lines.